Apostolic Revelation: My Parents Again Cursed Us, How To Find Mutual Love And Respect In Spite? My Parents Again Cursed Us, How To Find Mutual Love And Respect In Spite? To Maintain Peace Within Our Family, What Do God Jehovah Lord Jesus Christ Want Me To Do???? Question : Greetings to you and your family in Christ name. Can you wait upon God in prayer about my personal problems??? Subject: My father is a Pastor. We are three, which includes My elder brother and younger sister. 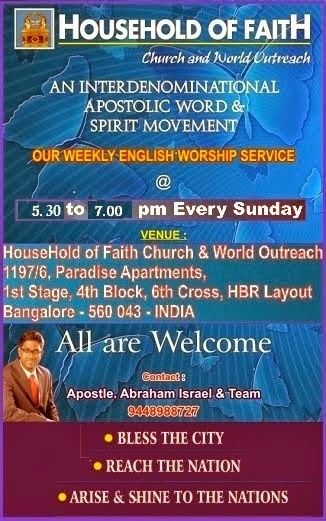 My elder brother works as an Evangelist in IPC.. In my family, I have two daughters and my wife is a Government teacher. I am a faculty of English in Engineering college to students. I and my family have been living with my parents.. Last year, we had some differences i.e. my mother and my wife, between them there was no understanding. Due to this, we went out of my parent's house and have lived in a rented house. After one month, my Brother and Brother in law came and visited my rented house. They told us that my mother was feeling bad and sick for missing my daughters. They convinced us. As a result of it, hardly one month, we lived in a rented house and left it. Again, we were back to my parents. Now, after 10 months, the same rivals, the same egos, the same unpeace existing in my parents house. Major problem is that my mother dominates and is arrogant. My father is a prayerful man. God blessed him much. But, My father never dare to say a word against my mother. He knows that my mother is wrong in some of her behaviors. My father maintains his silence. My Brother's family and my Sister's family are the instigators of my mother against my wife. The reason that my wife is manages anyway is because she is one who speaks very less.. and she is a silent personality. Today my parents cursed me and my family. We told them, we want to go out and live independently. My parents again cursed us. Ok. We will live with my parents, but, we have no peace of mind. No love, no family prayers. My Brother's family they live in Hassan. My Sister's family is far away. They have respect from my parents.. but, me and my family are living with my parents but find no mutual love and respect. I am upset and totally in dilemma and unpeace. What do GOD JEHOVAH LORD JESUS CHRIST want me to do???? Answer : Greetings to you and your family in Jesus name! The Bible says, "17 Repay no one evil for evil. Have regard for good things in the sight of all men. 18 If it is possible, as much as depends on you, live peaceably with all men." (Rom 12:17-18). Once the Scripture says 'try as much as possible', it does not give us a command to do but rather a suggestion to try our best in the problems we face to give peaceful means the best try to our ability to solve and bring peace. But again the ball has been thrown in to the hands of the one who faces the unpeaceful situation to take prayerfully individual and conscious decision to move forward in their life. We know that sometimes even when we try our best to get along in peaceful means, the other party also should willingly abide by the Scripture and humble themselves to pursue peace. In this case, you are dealing with your mother and your wife is dealing with her mother-in-law [i.e. mother-in-love at least as supposed to be]. But we know that this daughter-in-law mother-in-law problems have continued since the beginning of time in the Bible and it will continue because we have all become fallen incomplete beings in our forefather Adam who sinned, and so we need to take some solid decision to pursue peace and also maintain it (Rom 5:12; Heb 12:14), or else peaceful life of heaven with in our home will elude because of our delusion and only unpeaceful atmosphere will remain. You wife should see your mother as mother-in-love and your mother must see your wife as a daughter-in-love which means God has given the other person in their lives to train them to express His unconditional love and become like Christ in love (Rom 8:28-30). If the opportunity is missed, eternal reward also will be missed (Rev 3:11; Phil 1:4-7; 1 Cor 9:27, 24-25). You have become one family with your wife spiritually and physically after your marriage (Gen 2:24). Your father and mother together in themselves stay as one family as before (Eph 5:23). Now your Father is the Biblical head of his family to still take any decision for the welfare of himself and his wife who is your mother, but you have become the Biblical head of your family to take any decision for the welfare of your wife and your immediate family who are your children. Your parents now have become extended family to you and you also have become an extended family to them. It might take some more time for your mother to understand this Biblical concept because until your marriage she might have seen you as her little child and lately as her adult son to cherish, but now she has to see you as a separate family unit along with your wife, and also consider you as a responsible head of your family to distance herself from influencing you or trying to control her daughter-in-law. As she will not be able to have that kind of authority in her words as before, she in her insecurity and fear of losing her son, might become authoritative and act in a harsh way towards your wife not knowing how to keep herself in the loop as before. The best thing for your wife is to understand this dilemma in her mind and love her mother-in-law with Christ's unconditional love. Your mother also should understand this Biblical concept and try to restrain herself from influencing or involving to take decision within your family, or get agitated to show her tantrums towards her daughter-in-law to release her pressure. Instead your mother should commit her frustrations and lack of control over others to the Lord and step back in to the Love of Jesus to really enjoy her rest of the life that God has given her. I know as a Pastor's wife how many people your mother would have met to counsel them, but when a test comes to her she should humble herself and commit it all to the Lord to please Him in all things. Your Father's prayer will do much for her, but at the same time he should also intervene to tell what is right at the right point of time she needs it personally, and thus make her understand that they are a separate unit in existence. Pray for your Father as he might need your prayers now to speak the right words or stay silent at certain times to keep peace within his home. Again your parents cursing you or your family is because of frustration of losing their control over you and the soulish self that stays within them (James 3:8-12, 13-18). I pray may your father and mother be filled with pure wisdom and understanding from above to be able to yield to God's will and way to bear good fruit and to make peace within your families, than to destroy peace by unnecessary bitter envy and self-seeking where confusion and every evil things are present without fail. But you bless and love your mother in spite of her shortcomings, and your wife bless and love her mother-in-law in Jesus name thinking that she is her mother-in-love (Matt 5:44-45, 48), by doing so you both will be able to line up in the perfect will of God for your lives, and who knows, God might soon touch your mother too to bring that peace between your families as well as within the families to stay without becoming unpeaceful. So if this is not at all possible with the joint family set up, you take a house near by to your parents house and live in a nuclear set up, so that you can take care of your parents too as much as possible. Your wife will also have some peace if she had not be able to cope up with your mother. Your Mother also will have peace and at the same time they will not be left out of your care too. Above all, you, your wife and your mother, allow God to form Christ's Character by learning to love unconditionally like Christ loved us all and forgave us all (Eph 4:32; 5:2). 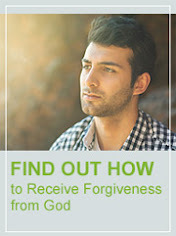 I believe if you do these things prayerfully, you can maintain peace within your home. Thank you. I will be praying for you all.